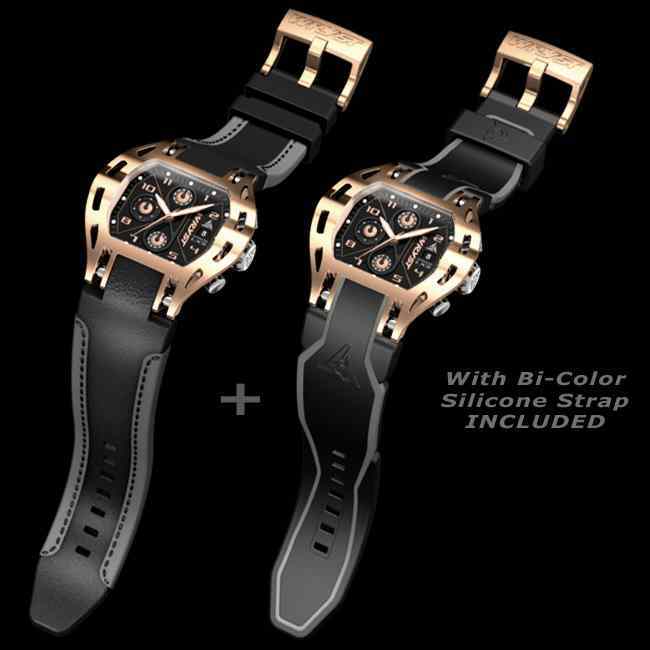 the silicone strap for all luxury sports watches. All Wryst Swiss mens Watches are now upgraded, and fitted with both an all-new leather strap as well as the original high-tech, bi-color silicone strap. With a semi-matte finish, the genuine cowhide leather straps offer superior comfort while measuring four millimeters in thickness. 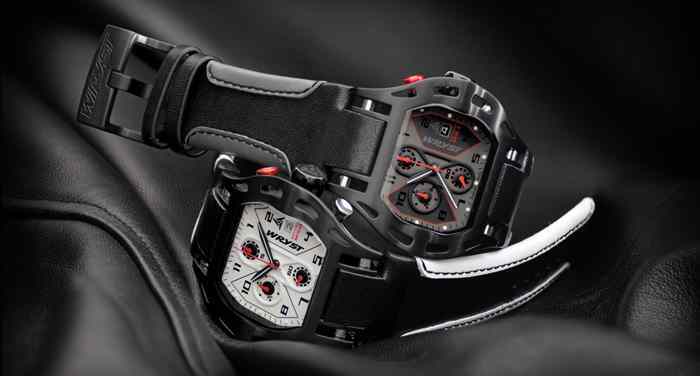 The Wryst Motors 'MS' watches are dedicated to Motorsports, Supercars, Formula 1 & all Racing Sports. 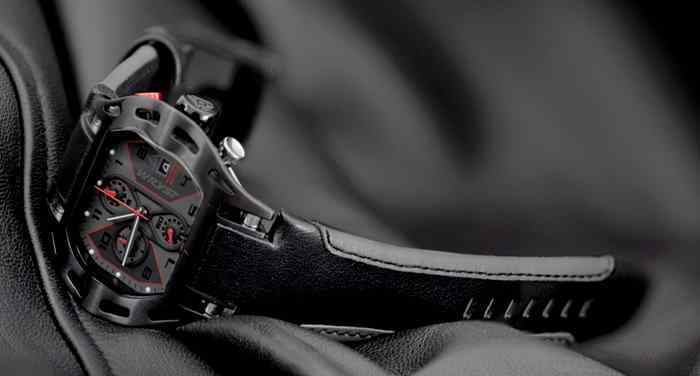 In limited edition of 99 pieces, these exclusive luxury watches will most likely make you feel very special and up for a challenge... With a high-tech bi-color black/red strap and black DLC (Diamond-Like Carbon) coating on the case, the crown and the bold square buckle, this is the ideal chronograph for your favorite high-risk and adrenaline races. The Shoreline 'LX' collection proves to be dedicated to individualists with energy, style and charisma. 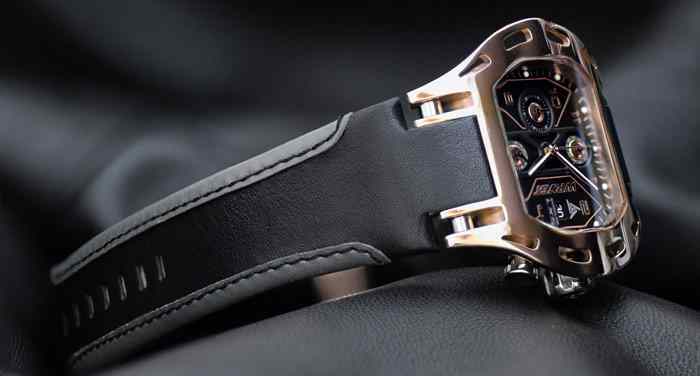 Built and manufactured in the Swiss traditions, Wryst Timepieces excel watchmaking and redefine elegance and refinement with gold, rose gold and brushed stainless steel casing. Enjoy wearing your lifestyle for your favorite water sports, winter sports, outdoor sportive activities and VIP nights out. Only 99 pieces of each reference LX4, LX5 & LX6 will ever be produced. Elegantly designed, the genuine cowhide leather straps are offered in black with either white, gray or black linings along the edges. 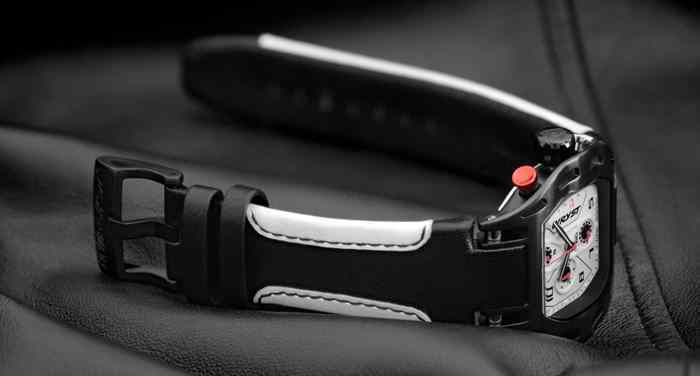 Wryst took special care in the manufacturing process, selecting high-grade quality skins and optimizing their durability to create a strap that is both surprisingly flexible yet still bold. 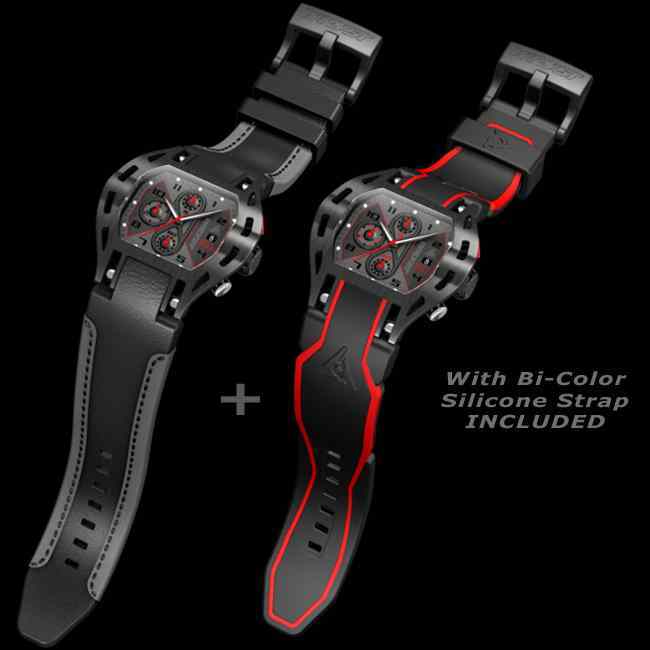 They offer a perfect fit for all wrists measuring up to 8″ around.